I’ve been an avid book reader and buyer for years. When Amazon.com launched I was thrilled to add them to my list of favorite booksellers, in part because of the large selection, but also for the lower price. However, I was just as likely to pay a few bucks more to get a book that I wanted from my local bookstore without waiting as I was to order online from Amazon.com and wait. Today, the practice of shopping for items in a showroom and then going online to order at a lower price is dubbed “showrooming”, and has gone far beyond just books. It is further enabled by smart phone equipped shoppers using apps to check online prices while inside retail stores. Amazon.com even offered to pay shoppers up to $15 for going into stores to check out competitors’ prices. 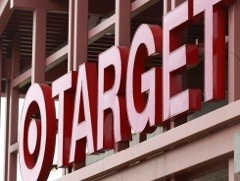 Target has complained vociferously, and is asking suppliers to offer special products not carried by online merchants or to subsidize their price matching of competitive offers. Target contends that showrooming is unfair because it allows online vendors to use competitors’ brick and mortar showooms to make sales without having to pay the high costs of owning and operating showrooms. They’ve also dropped the Amazon Kindle from their assortment of ebook readers. To quote Shakespeare “The lady doth protest too much, methinks.” Online retailers do have a cost advantage over brick and mortar, because they do not have the store overhead. But showrooms have their own advantages. Showrooms allow retailers to appeal to each of the shopper’s 5 senses. Shoppers can touch, feel, smell, see, and hear a product in a live working environment. Online is primarily a visual media – a picture and a price. Buyers love immediate gratification. Online purchases entail waiting for delivery along with shipping charges. Target should also bear in mind that these app wielding showroomers are also buyers. Recent research shows that they are more likely to make an in-store purchase than their non-app equipped counterparts. Conclusion: Welcome Showroomers!! This entry was posted in Business, Management and tagged Amazon, Amazon.com, showrooming, Target. Bookmark the permalink. Hi Art – on a semi-related note, what are your thoughts on the new JCPenney pricing strategy? Personally, I don’t think it works in a society where we can barely get to work on time, remember to take our meds, and feed the dog. I don’t know how this is “better.” I think the only way they can revive their image is make JCPenney “cool” again, especially to the younger crowd. Maybe even eliminate departments like luggage, furniture and outdoor patio seating. Why? Because the older consumers think of them as being bland. The newer consumers are BORED with them. I just visited one of their “new” stores, and it looks exactly the same. Quality of clothes – 4-5 out of 10, and the staff wasn’t happy to be there (probably because they’re looking at cuts soon). They’ve added Sephora, and some other things, but it seems very unorganized. I think the only way they’ll survive (and I predict they’ll get bought out by someone or downsize their stores drastically) is if they reinvent themselves. You know how the Starwood Hotel brand created a cool/hip Starwood property – the Aloft Hotel? Something of that nature. It has to have H&M cache, low budget, yes, but be cool to the young crowd. Ok, no more from me! What do you think? Great comments. You are spot on. For the “new” JCP to make it, they need something more than a EDLP pricing strategy. Customers need a reason to go there. As far as mix goes, I also agree that unless they have a compelling reason they should stick with apparel and dump patio furniture, luggage, etc.